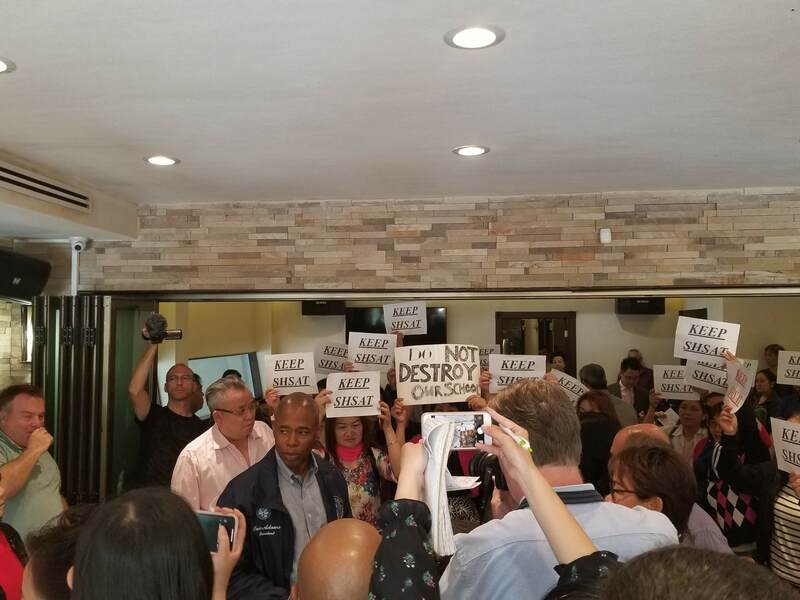 Parents gathered on Tuesday in Bensonhurst to talk about SHSAT with Eric Adams, who supports the plan, at a meeting that was closed to the press. 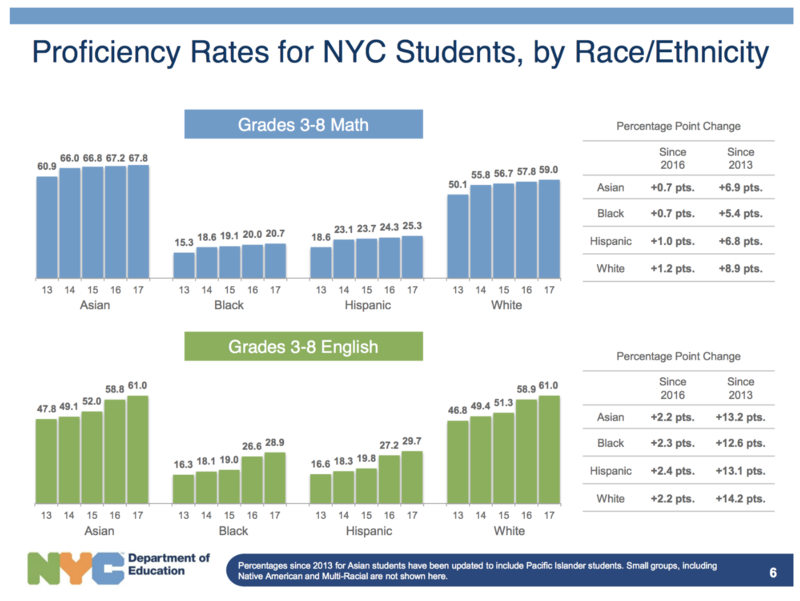 Southern Brooklyn – Mayor de Blasio plans to radically change the racial composition at Specialized High Schools (SHS) by setting aside 20% of the ninth-grade seats for low-income students who missed the test score cutoff, starting in the fall of 2019. Currently, about 5,000 students get selected each year by the test, called SHSAT, to attend 8 Specialized High Schools. Ultimately the plan envisions phasing out the SHSAT completely and instead offering slots to the top 7% of middle school students. New York State Assembly put off action on de Blasio’s desegregation plan for elite NYC high schools till next session, and there has been quite a bit of coverage of this in the city (see links at the bottom of the story), but it is unlikely to get much support from Southern Brooklyn Senators or Assemblymembers. A big reason why, is that the proposed changes would disproportionately affect students from three Southern Brooklyn School Districts – D20 (Bay Ridge, Bensonhurst), D21 (Gravesend and Coney Island), and D22 (Flatbush, Midwood, Sheepshead, Marine Park). Students from these districts account for about a quarter of all students that enter the specialized high schools from a public school in NYC, and they also account for more than 72% of all Brooklyn public school kids that are admitted to the SHS, based on the Department of Education data from 2015 admissions. Based on that data, almost 76% of students move on to the three big Select High Schools – that’s about 220 students this year (an estimate). Similarly, that is about 31% to the 2 of the big ones (excluding Laguardia which auditions) – about 150 students. 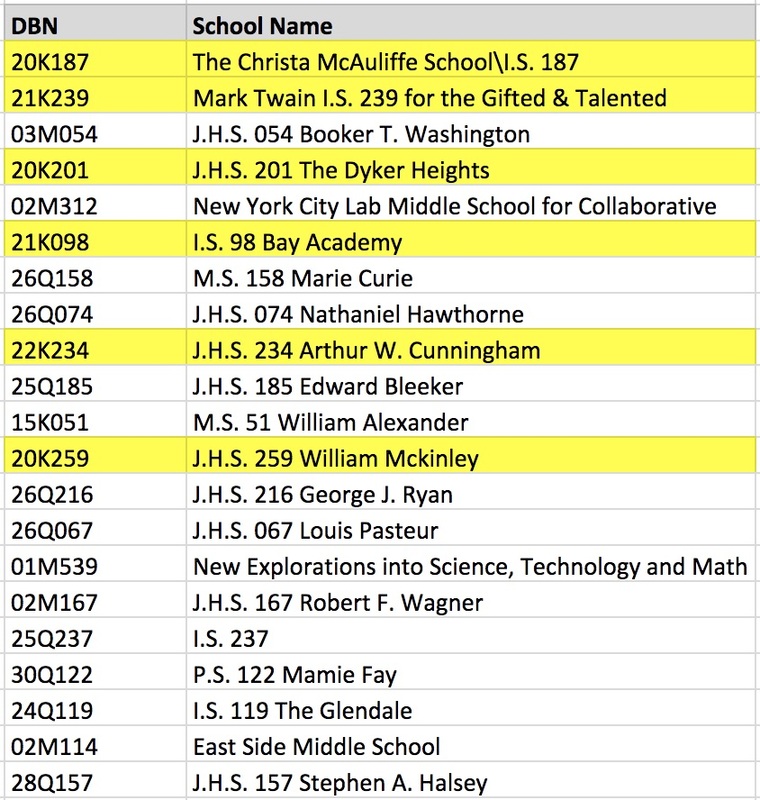 Similarly, of the 512 graduating students at The Dyker Heights JHS, at least 21% (108 kids) are expected to go to a Specialized High School, based on historic performance. But even at smaller schools, like the Brooklyn School of Inquiry (PS/IS 686), one of the citywide gifted & talented schools like NEST+M and Anderson in Manhattan, 46 students of its graduating class of 86 (54%) were offered seats at SHS this year. Their worry? Politics played at their kids’ expense and a flawed reform that cuts off the opportunity, especially for those that are new to this country to lift themselves out of poverty through prioritizing education for their children. Lack of consultation and discussion about the plan is high up on the list of concerns. To this effect, Community Education Council for District 20 will have another meeting on this topic next Wednesday, June 13th at 7pmat P.S. 176th, located at 1225 Bay Ridge Avenue at 12th Avenue. Because no increase in seats is proposed at the Specialized High Schools, kids who score high enough to be admitted would not be admitted, while other students who scored less well would – deeply unfair for their children, their mostly immigrant and poor parents say. “We must not let this proposal distract us from the failings of the current Department of Education in providing for the needs of high achieving students throughout the system”, he says. “High caliber education, developing the best and brightest students possible, is under attack. They are lowering the standards instead of investing in schools and districts by providing gifted and talented programs to serve all children, in all neighborhoods. “For too many years the city has ignored high performing students throughout the city, especially lower-income communities and those with a majority of black & Hispanic students. Parents have no confidence that the NYC school system can meet the needs of their gifted children. It’s no surprise when they are offered scholarships to private schools looking to boost their diversity, these high performing students are lost from the NYC school system. “Currently, the specialized high schools are open to all based on test scores. Any changes to the current admissions system should be vetted. All stakeholders should be heard, and a consensus reached, before radical changes are made to a system, which has been successful. If these changes require State action to implement, it is my current intention to oppose them. By arbitrarily setting a percentage of students who failed to make the test cutoff, the Mayor will be denying students who earned a seat in these schools,” Senator Marty Golden said. “This move by the Mayor is going to start a race for the bottom. At a time when there is a focus on science and math degrees, the Mayor is turning back the clock. Now is not the time to recklessly change our specialized high schools, which have been producing some of the best and brightest students. By opening up our specialized high schools to students who failed to make the cut, we are sending the wrong message. Every student who wants to go to a specialized high school deserves a chance, but by instituting random quotas we are sending students the wrong message – your parents’ income is more important than your intelligence,” continued Senator Golden. “It is my hope that the Mayor will see the mistakes in his plan for our specialized high schools. The way to diversify our specialized high schools should be built on providing low income students increased access to academic help, so they can earn a slot in the school of their choice, not to deny students whose work earned them a spot. However, if he doesn’t realize what he is doing, there is no doubt that the Legislature should get involved to protect our specialized high schools,” concluded Senator Golden. “While I am personally a skeptic of standardized tests alone as a general measurement of student achievement, I understand the outrage of my Asian-American neighbors and stand with them in this fight. They are clearly being singled out by this misguided policy. “I agree that we need to have more diversity in our public schools. However, I don’t agree with Mayor de Blasio’s proposal to change the admissions process for specialized high schools in New York City, which serve only 5% of high school students and 1% of all students city-wide. “This week I have received hundreds of emails about A.10427-A, the proposal from the Mayor and Chancellor which would change the admissions process at New York City’s specialized high schools by phasing out and completely eliminating the Specialized High School Admissions Test. The timing of the introduction of this proposal and the manner in which it was introduced was ill-conceived and I do not support the legislation. Creating a rubric which allows for greater access and diversity in some of our top schools is admirable and necessary, but trying to reach that goal without a single hearing and 3 weeks before the legislature goes on recess is not the way to create sound legislation. I am glad that Speaker Heastie has assured the New York State Assembly that he will not bring A.10427-A to the floor of the Assembly for a vote. “This issue demands debate, input from a broad cross-section of parents and educators, and careful consideration before a long established, though imperfect system is changed. Making sure all students have a pathway towards some of our best public schools is essential in any public school system. 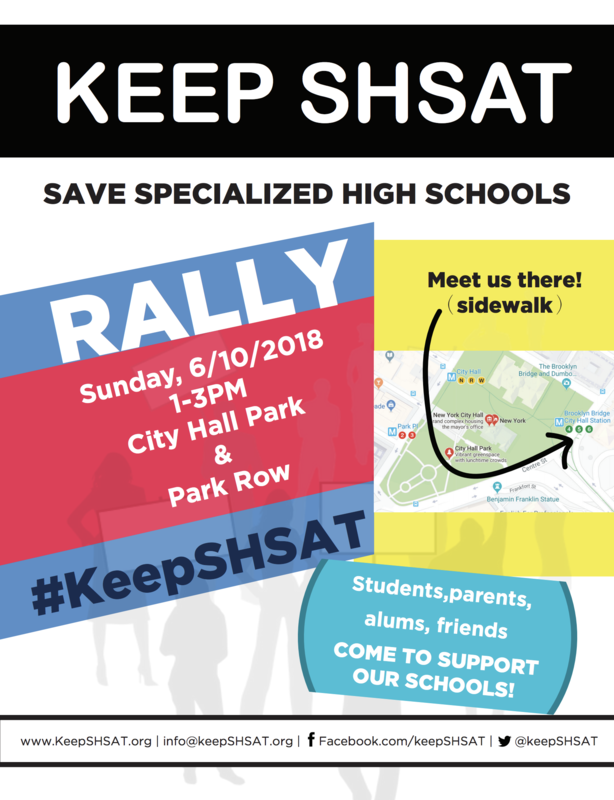 I believe any legislation we pass to change the SHSAT or augment the admission process must also include ways to improve our elementary and middle schools so more of our students are prepared for demanding academic environments. Furthermore, it is misguided to place so much emphasis on eight specialized high schools that only admit 5,000 freshmen per year. We must not let this small fraction of students dominate our discourse on how we bring high quality education to all students no matter the need or the neighborhood. “We need to preserve the test and provide for more latitude to use grades and standardized test scores for some of the seats. “I am completely opposed to how the mayor addressed this entire issue. The mayor used government by ambush in something that requires real work, sober thinking and enrollment from all stakeholders. “Also critical to tell your readers the current law only provides for test admission to three of the 8 specialized high schools. Bronx Sci, Stuyvesant, Brooklyn Tech. The other 5 the city elected to make the test a requirement, a recent restriction. So if the mayor had the courage of his convictions he would have already changed the admission policy of the 5 schools completely under his jurisdiction and educational supervision. “I am strongly opposed to this idea for several reasons. Firstly, it’s unfair to the students who have been working diligently for years to prepare for the admissions exam. Their parents often employ tutors, and the kids devote their free time to study. It’s not right for the City to now pull the rug out from under them and change the rules of admission. “This potential change in policy will also impact high-performing students in middle schools, who may not be adequately prepared for the rigorous curriculum at these specialized high schools. These kids may end up underperforming and feeling left behind, leading to difficulties with college admissions and beyond. “New York City youth would be better served by the City devoting additional resources to improve existing schools and give all students the opportunity to excel. Every child is special and deserves to be in a situation best suited for their abilities. 8.6 million New Yorkers – and over 1 million public school parents – should have their voices heard before this drastic change is made. “Anyone who has looked at school enrollment data knows that segregation is a serious, systemic problem throughout our schools, and this is unacceptable. We need to focus on integrating schools at every grade level. 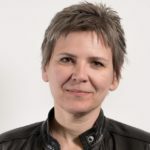 “Solutions to this problem cannot be piecemeal, and they cannot be developed without thoughtful dialogue with communities, stakeholders, and experts. We need to look to recommendations from the School Diversity Advisory Group, an inclusive panel of experts from a variety of fields and communities, who have been soliciting public input at Town Halls. We need considered, meaningful, holistic solutions that address the full spectrum of diversity of our students. “We shouldn’t only focus on integration in the ninth grade. This plan impacts schools which serve only five percent of high school students, and less than two percent of all students. We need a comprehensive equity plan for our students, not just partial attempts at integrating our school system. “Why are 21 middle schools filling half of the seats in specialized high schools? Why are our elementary students segregated? Why is there a saturation of Gifted and Talented programs in certain communities and almost none in others? We need a multi-pronged approach to make sure we are truly committed to fully integrating our schools. “Also, as a product of a non-specialized high school, and as a former teacher of a non-specialized high school, I reject the notion that changes in the admissions policy would change the quality of specialized high schools. Different children show academic strength in different ways, and all of our schools should incorporate more project-based learning. In Albany circus, can Mayor Bill de Blasio get specialized high school legislation passed? Full disclosure: I have three kids in public schools, one currently attending a SHS and all went/go to District 20 schools. All de Blasio can do is think about demographics and calculate political outcomes. That, for him, is the sum and substance of life. Specialized High School , that means these selected students are specialized with them. If no test or no completion how can we identified who belongs to where? Just like SAT and ACT .